Statutory ERS ensures a rapid initial response to an emergency. But what happens next? Classification Society statutory ERS provides Ship Owners and Insurers with a targeted initial response to deal with technical issues, driven by international regulation (OPA 90 and Marpol). However statutory ERS is essentially limited to assisting Owners with the stabilisation of a distressed vessel. 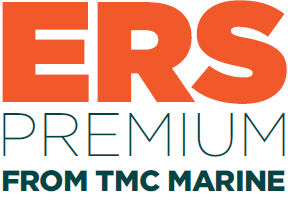 ERS PREMIUM offers Ship Owners advice and guidance from a team of salvage experts on a range of potential issues which go well beyond the service offered by statutory ERS. The ERS Premium service is not just confined to stabilisation of the vessel, it also offers Owners and Insurers assistance and advice with the increasingly complex technical and operational issues which can arise in the unfortunate event of a marine casualty. As a pro-active service, Ship Owners can sign up to this new initiative from TMC which allows them to pre-configure a ship-specific model using our advanced salvage program SEAMASTER. This software has been developed by TMC over a period of 30 years and is unrivalled in its capability. Should a real incident occur, timely proactive operational and technical advice can be delivered during all phases of the casualty. With 40 years of knowledge and experience in the salvage field, TMC Marine will rapidly respond to incidents worldwide. A proactive service that can react faster and more effectively for marine casualties. What does ERS PREMIUM cover in addition to the statutory BV ERS service? Not all of the above services may be required in any given casualty. Significant time and cost can be saved as pre-planning enables TMC Marine to react quickly when an incident occurs. With both local offices and experienced, qualified salvage personnel across the globe, our services have responded successfully to some of the highest profile salvage cases in recent years including the PRESTIGE off Spain, the MARITIME MAISIE in Korea and the CSCL INDIAN OCEAN in Germany. TMC has undertaken 110 salvage consultancies in the last 10 years alone. Backed by leading Class Society Bureau Veritas, TMC emergency response and casualty management adapts to the needs of a serious incident delivering comprehensive salvage expertise where it is needed both on-site and on-shore. Pre-planned, extended emergency response for Ship Owners, backed by a leading Class Society. A fast and effective service that embraces both operational and technical issues. ERS PREMIUM from TMC provides a rapid onestop coordinated approach for emergencies.